Mobile device use in China has now topped that in the U.S. That’s right. The website Techcrunch.com … a leading technology information website … says that sometime in the first quarter of 2013, China passed the U.S. in active Android and iOS smartphone and tablet use. It was only a year before that China became the fastest-growing market for these same devices. 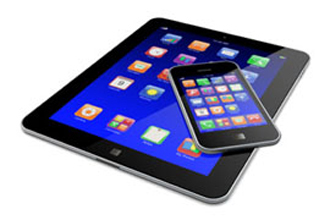 Of course, iOS devices are those smartphones and tablets operating on Apple’s operating system. Flurry … a world leader in analytics for mobile device use … says that its measurements are reliable by measuring activity in over 90% of the world’s smart devices. They say that, at the beginning of 2013, both countries were virtually in a dead heat as far as the numbers showed. But by the end of January, China had bypassed the U.S. by as much as 16 million. Even more interesting, the U.S. won’t be able to regain the lead. China’s population is simply too large to overcome. The only country that could even come close … due to their population … is India. But that’s highly unlikely with the head start China has. Another point of interest according to Techcrunch.com. The #3 market, the U.K., is far behind with only 1/5 the number that either of the top two has. There are now several countries growing at a faster rate than China. They are Columbia, Vietnam, Turkey, Ukraine, and Egypt.